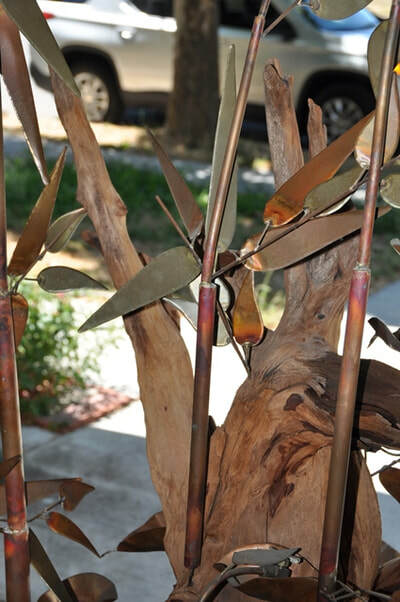 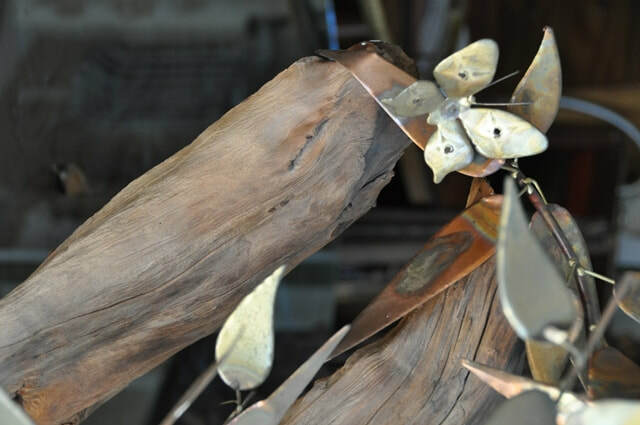 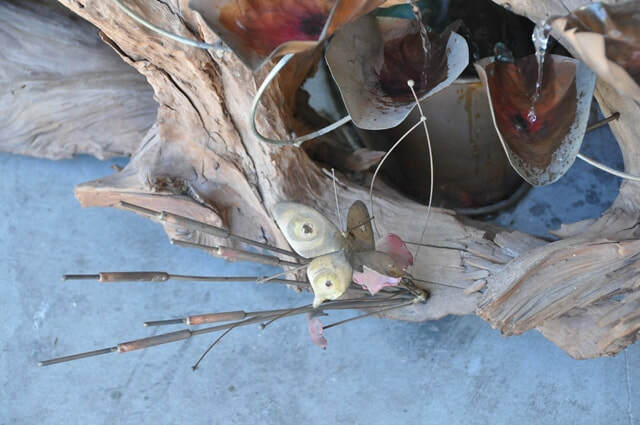 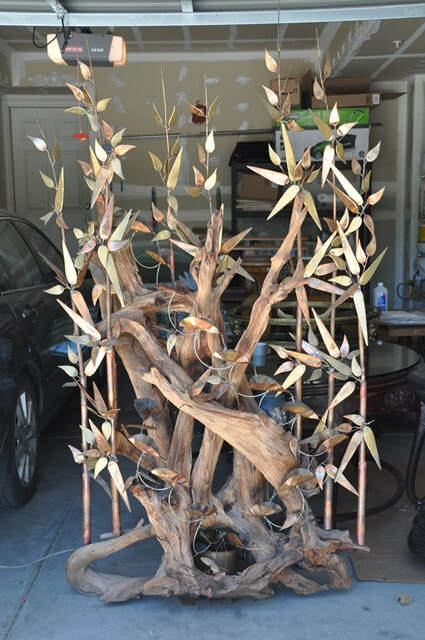 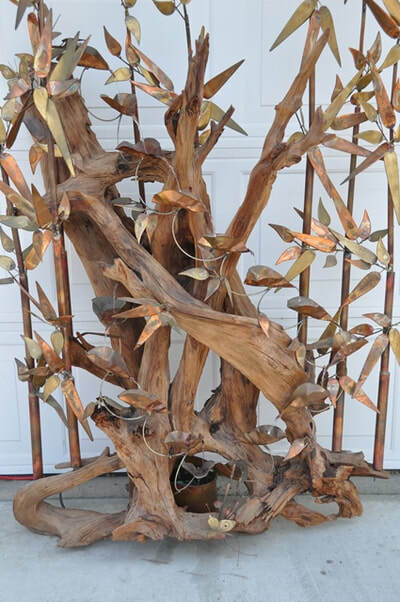 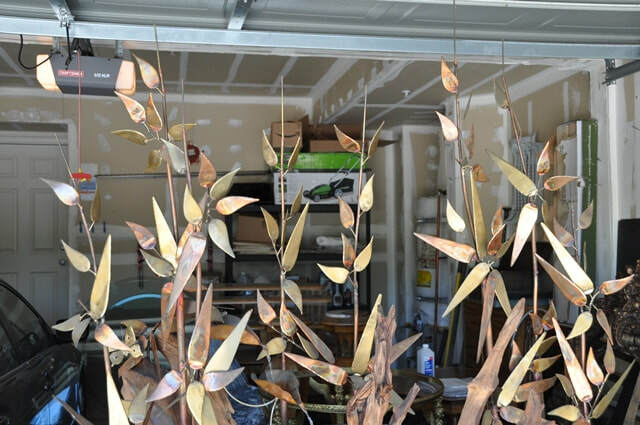 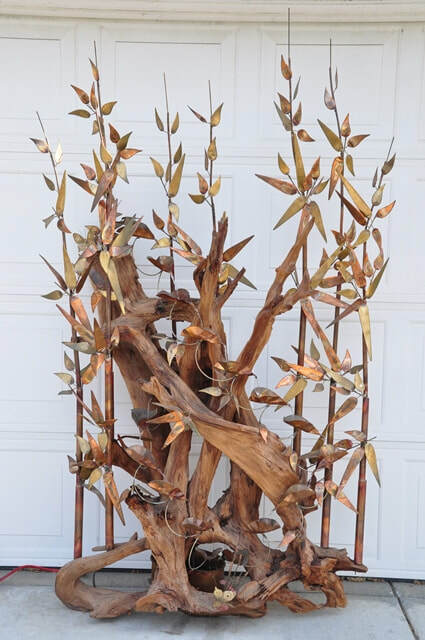 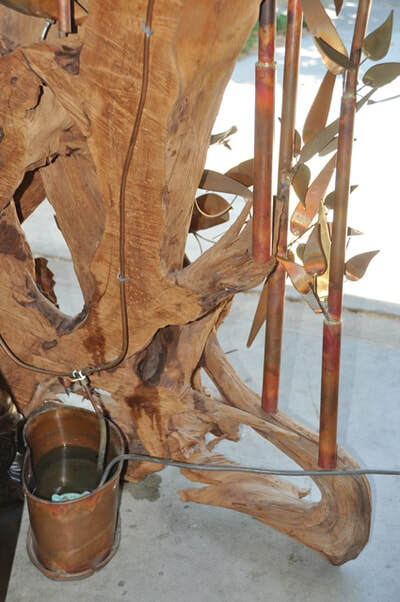 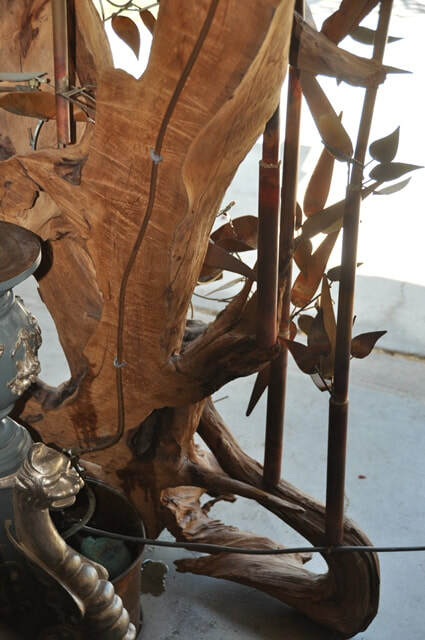 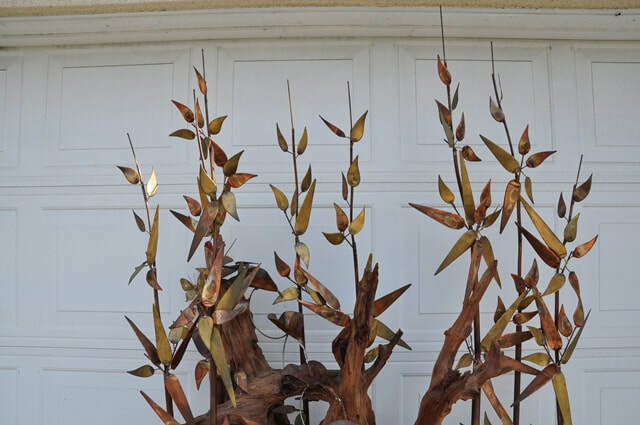 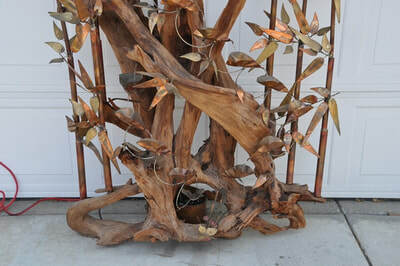 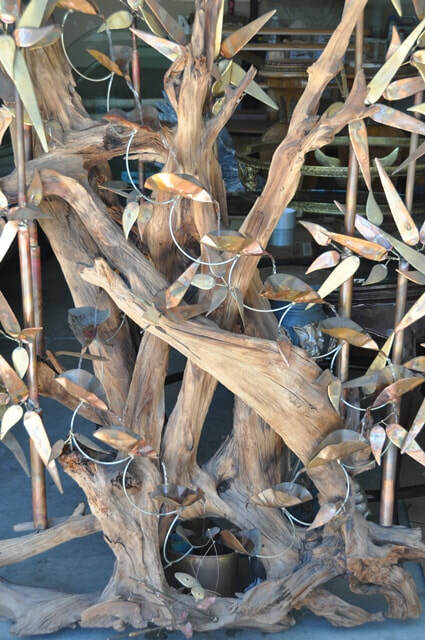 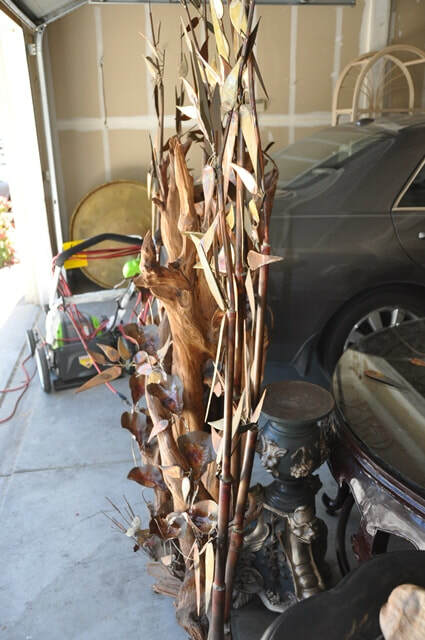 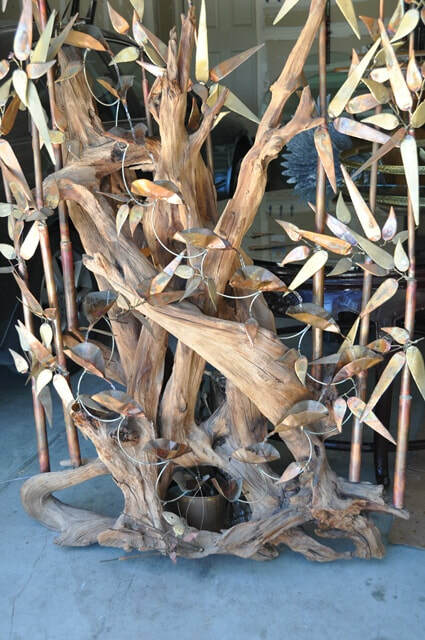 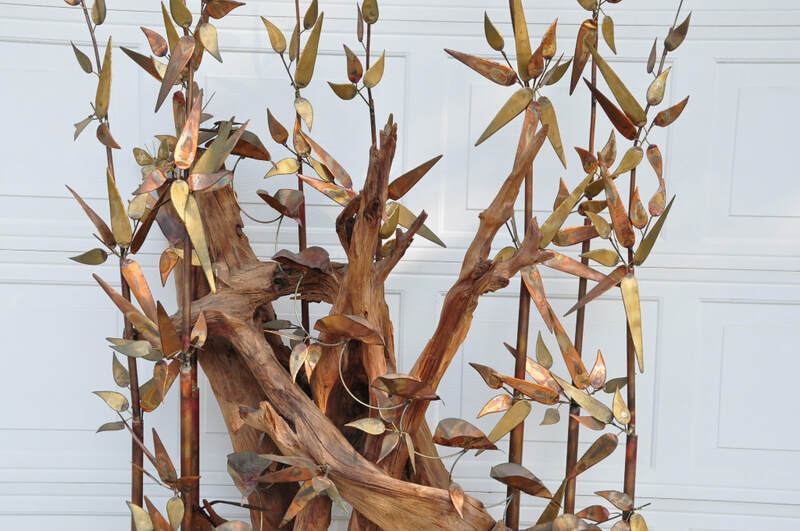 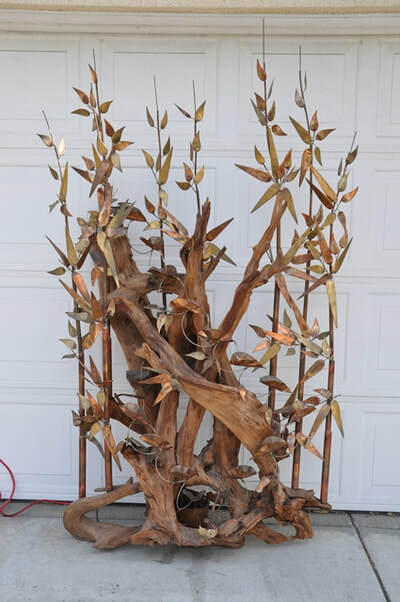 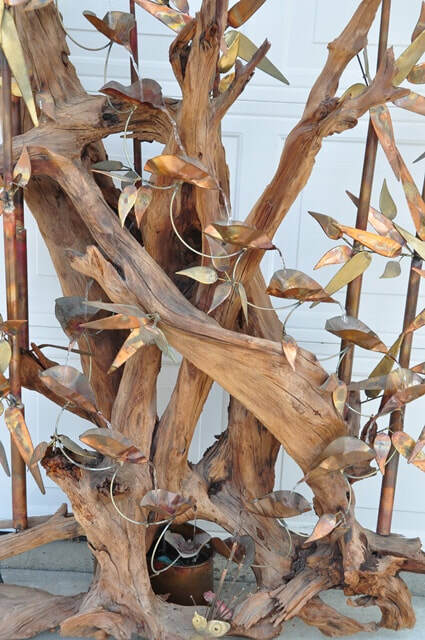 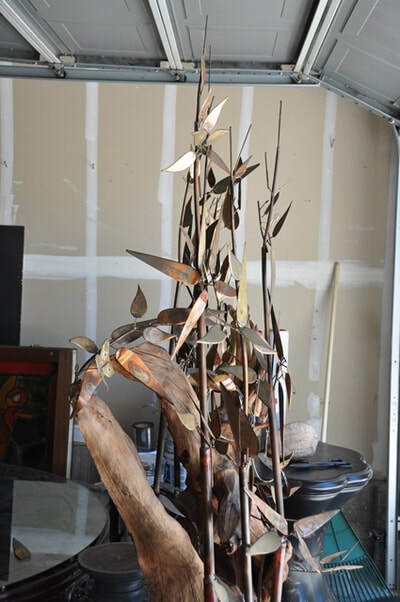 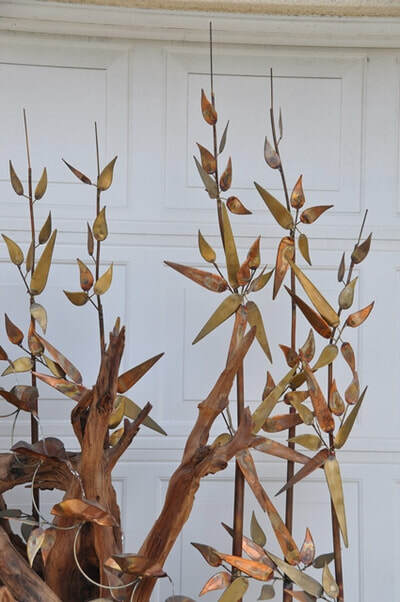 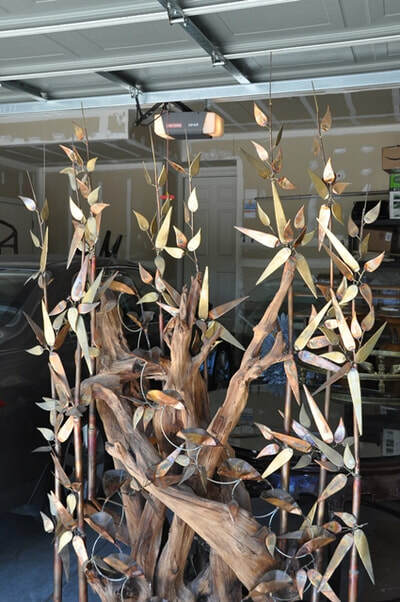 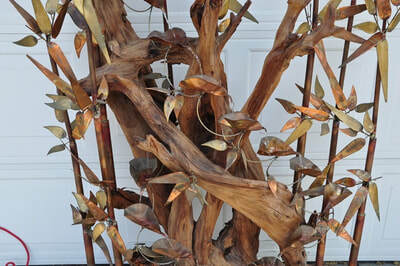 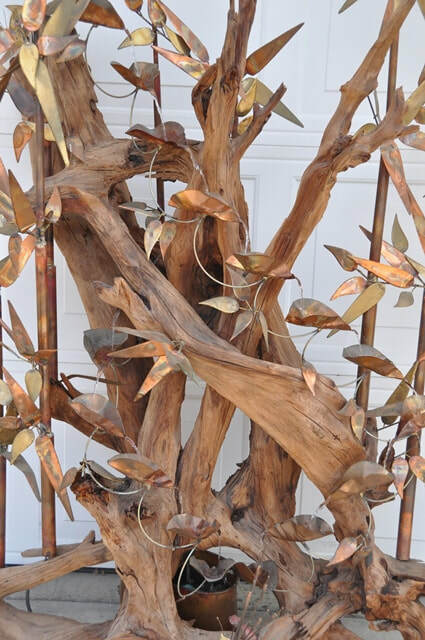 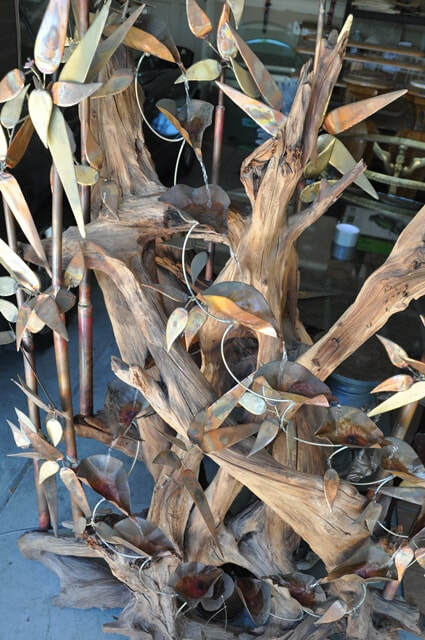 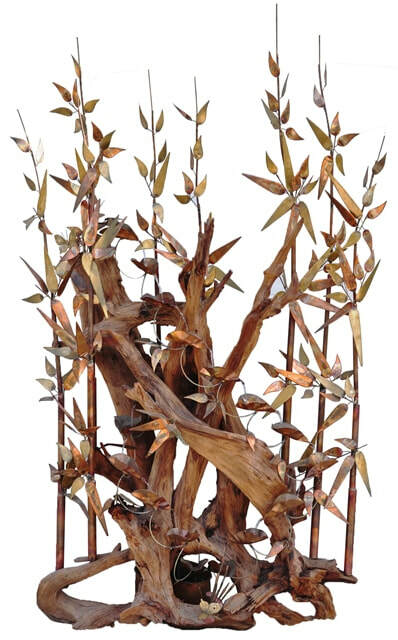 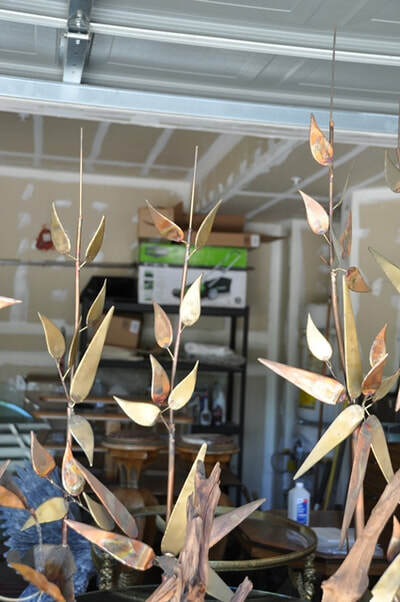 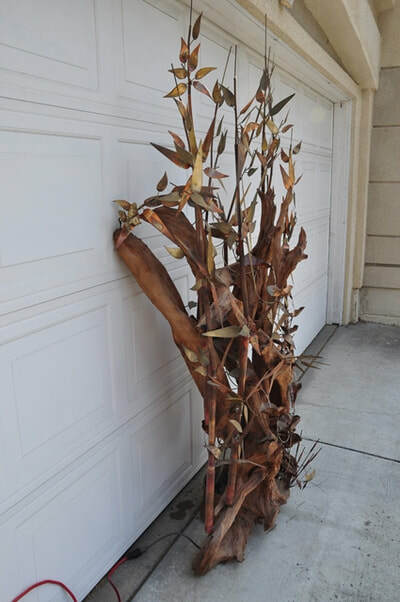 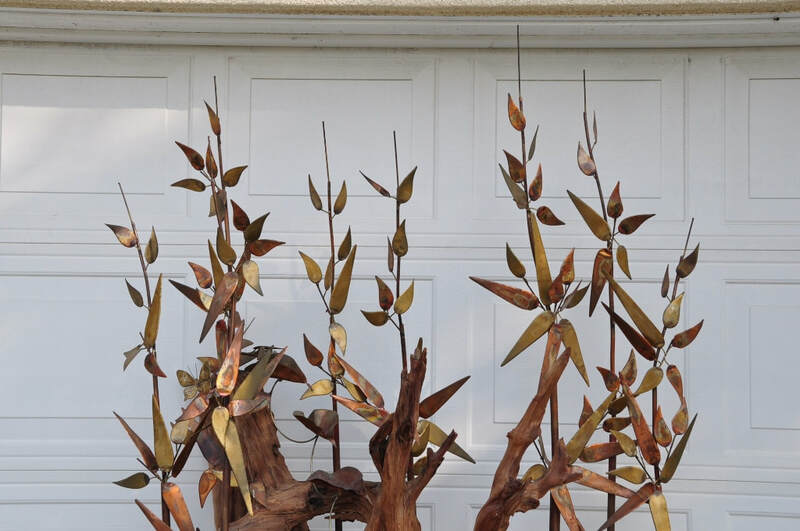 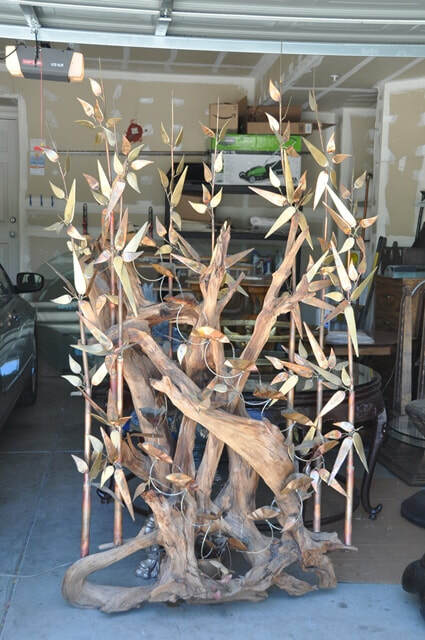 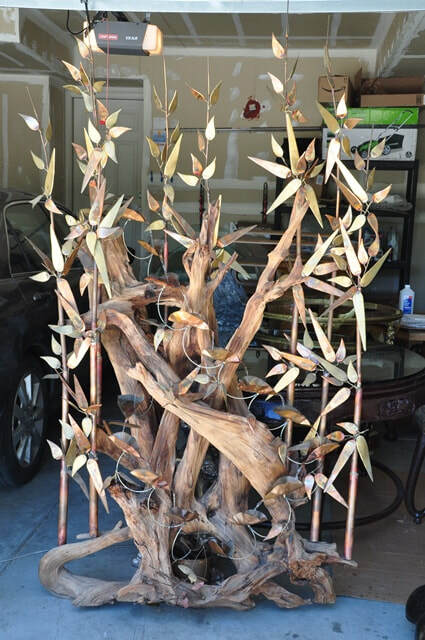 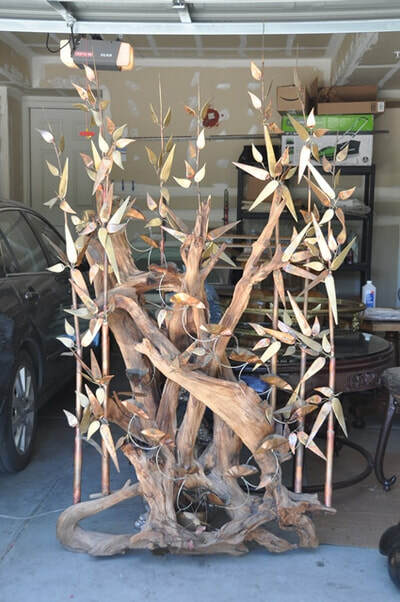 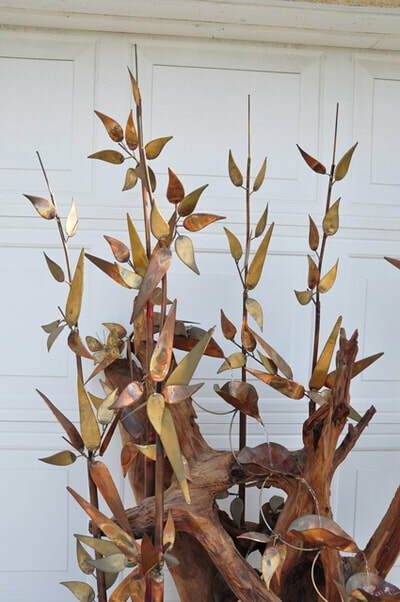 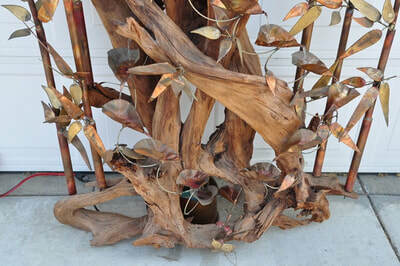 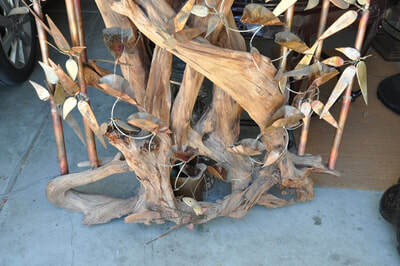 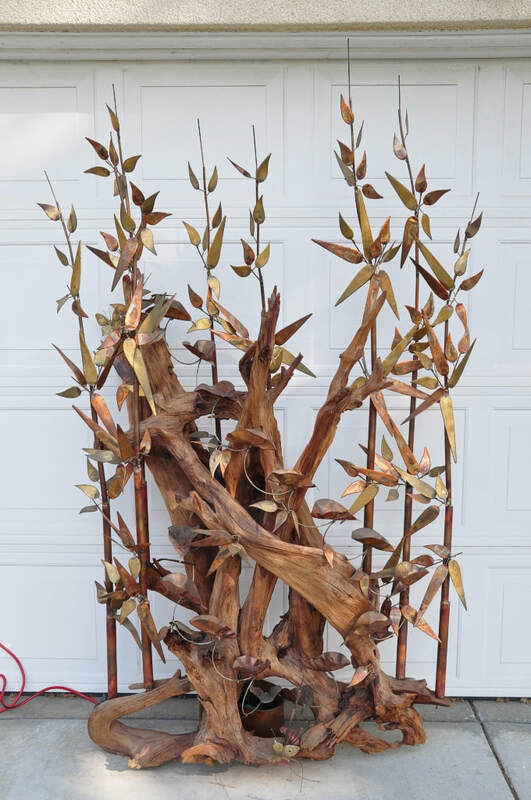 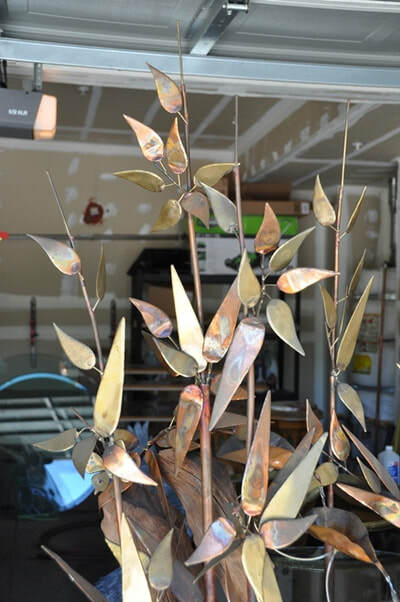 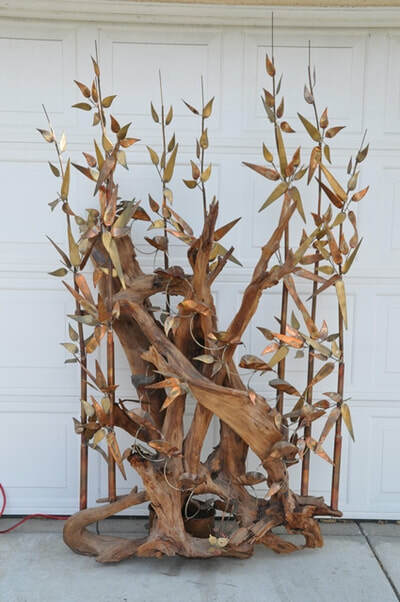 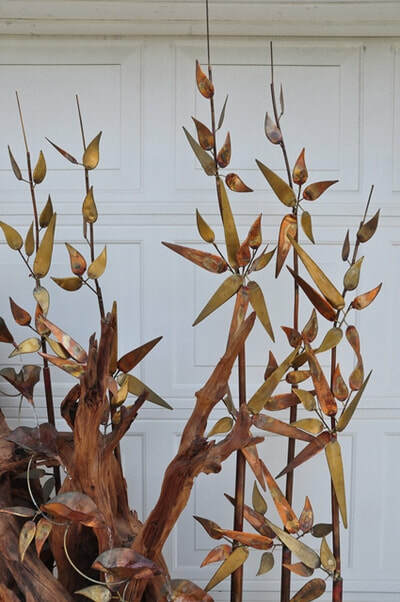 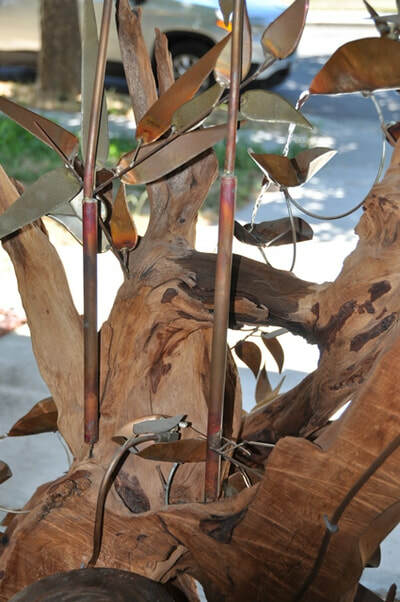 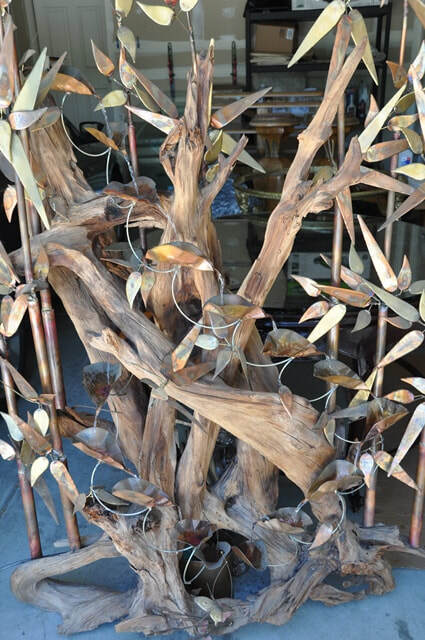 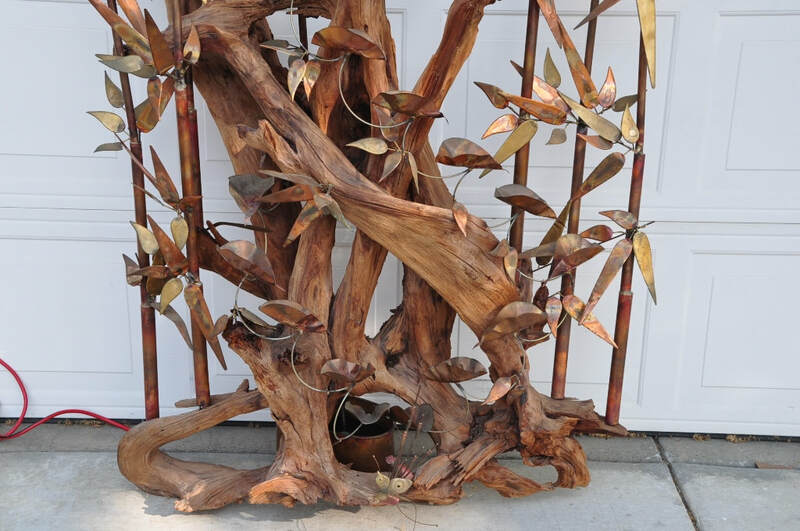 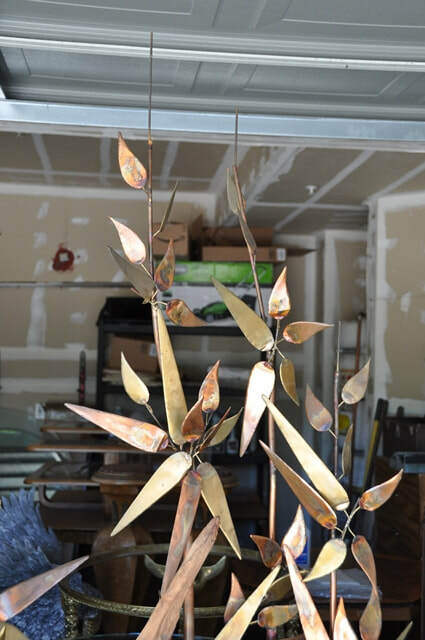 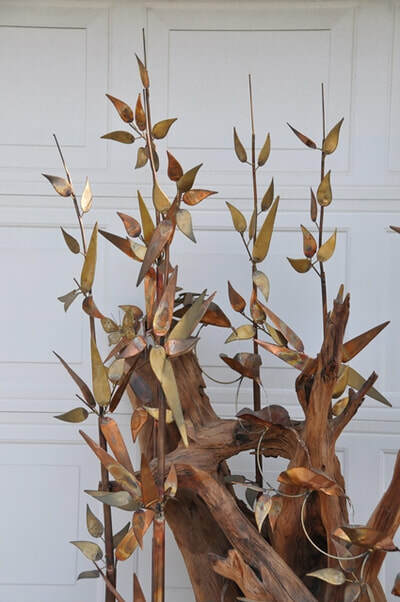 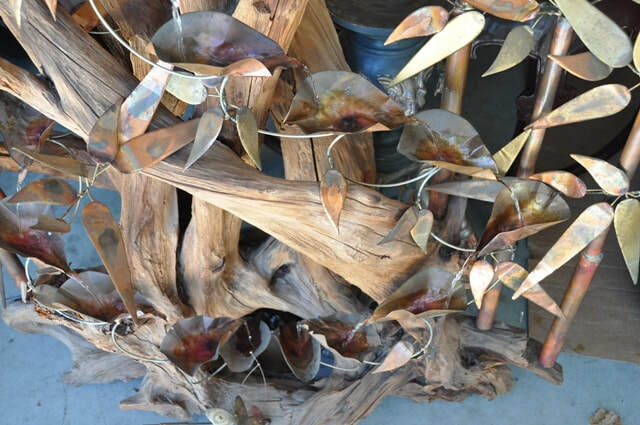 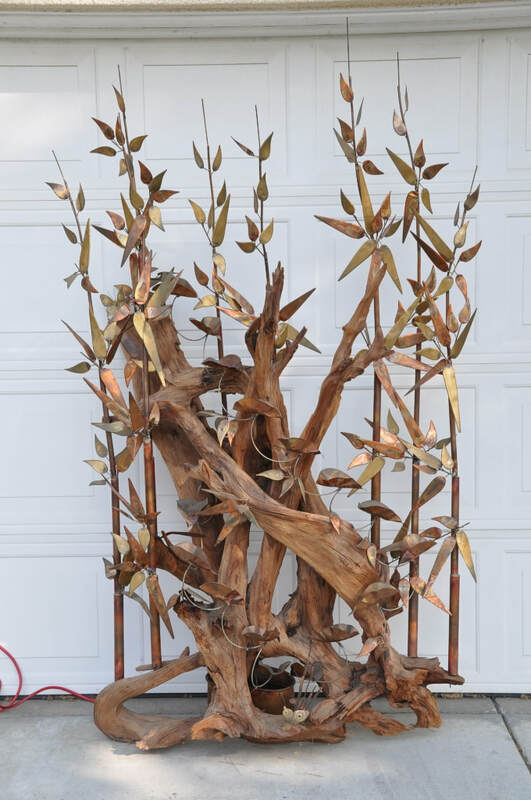 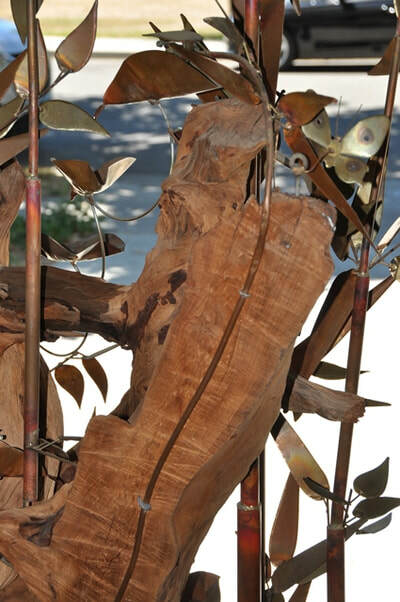 This is a large one of a kind hand crafted water fountain constructed by an artist using copper sheets and driftwood. 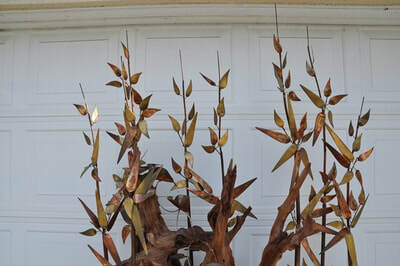 It is in the form of a bamboo grove with many leaves. There are a few copper butterflies as well. 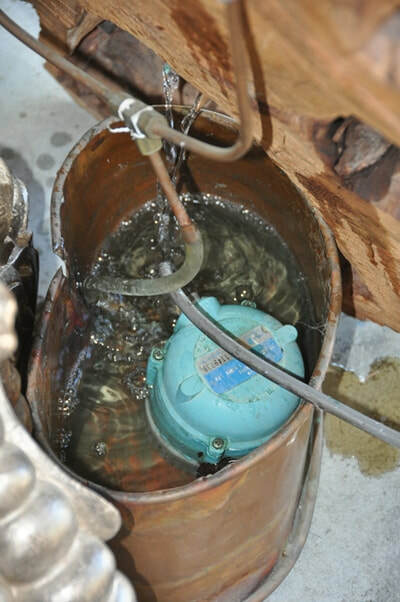 There is a pump in it which brings water from the container at the bottom to some pans at a higher position. 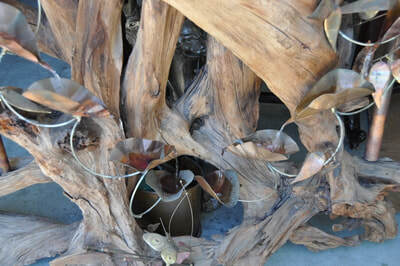 The water then falls down in a cascade of multiple pans to reach the bowl, and the process repeats. It is 82" tall, 45" wide, 32" deep and about 85 lb in weight.